I've made a few gate fold cards in the past, but this time I put a bit of a twist on it making it good for 3D items (especially quilling...). There's a diagram with detailed instructions. Anyway you can read all the details and descriptions by clicking on any card image. Enjoy, or click here to go to my web page. 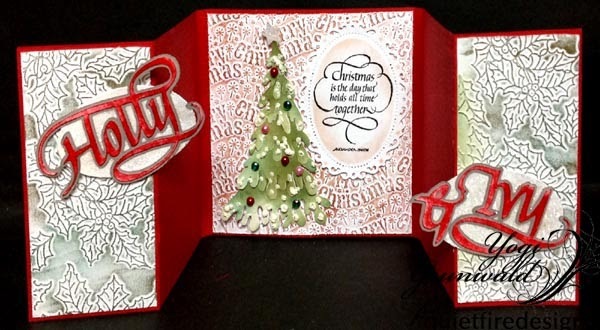 Of course I'm using Quietfire Design quote stamp on the inside and one of Suzanne's eCut designs on the front available on the Silhouette onLine store.